I came across your GearChic blog & Moterrific podcast after listening to either the Wheelnerds or (more likely) The Pace Podcast. I've caught up on all the podcasts & really appreciate all the great info & engaging interviews you & Christi have with people in the industry. I listen quite a bit through my Sena while commuting to & from work & often on rides elsewhere (I'm a podcast addict, so I have something playing just about anytime). I have a gear question I've been trying to nail down for a while, since I ride mostly Kawasaki bikes - an '02 KLR650 (now 685) and an '09 Versys - both green. I'm trying to find a comfortable summer-oriented glove for riding in the usual 80-100 degree summers we have here, and it would be a real bonus to find something in a Kawasaki green. I currently wear a Sedici medium gauntlet style glove in the spring & fall, as well as some insulated Joe Rocket gauntlet gloves or Tourmaster heated gauntlets for winter. During the summer, I will usually wear the Sedici gloves to work, but on the hot ride home, I will either wear some cheap dirt gloves or Mechanix gloves. I know these won't give me the same protection as good street gloves in the event of a crash, so I'm hoping you can steer me in the right direction. Thanks for breaking my email record and making it 6 emails in the last week. I'm stoked to help you out. I'm going to warn you, these will all cost more than your budget gloves, but they are going to offer lots of protection, ventilation and comfort. As far as Kawi Green, that's a tough one. As most of my recommendations aren't available in that color. Try not to think about that too much, you're not looking down at your hands while you're riding, right? :D But I found you one option below that is offered in green, just in case. Here are my favorite men's summer gloves which also offer plenty of abrasion protection on the palms for street riding. They look like dual sport gloves, and they definitely work well for that but the protection on these are sweet for street riding. $109.99. These are extremely well ventilated and have a strong goatskin palm, reinforced palms and hard knuckle protection just in case. Like all Rev'it gloves, the fingers tend to run a tad longer. A really neat feature about these gloves is that there is mesh above the thumbs, so if you have trouble with gloves that are too short over the thumb, these may work better. They're also touchscreen friendly, but please no texting and driving~! Fitwise, they are a bit narrow at the wrist so if you have really wide hands/palms, go up a size. But they will stretch out in the palms after you break them in. $108.00. The Sambias are very similar to the Rev'it, with different construction but the same general purpose/features. Lots of abrasion resistance in the palms for street protection, and ventilation for summer. They also have my favorite, kangaroo palms! Fitwise, they're also a bit on the narrow side so if you have really wide hands then order a size up. Finger lengths are average, not too short, not too long. $79.95 These were actually on my mind as I read through your email. What a coincidence they come in kawi green! 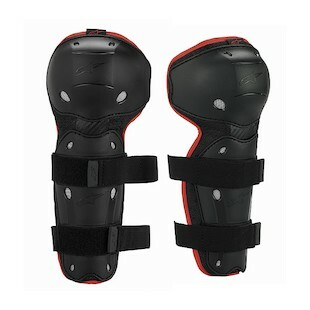 These also have a nice leather/mesh construction with carbon fiber hard protections. Lots of air flow with lots of protection. They also happen to be touch screen friendly. Fitwise, I have found that these will have slightly shorter fingers and accommodate a wide palm without going up a size. A couple weeks ago I posted my favorite summer textiles, but here are some leather options if that's what you need this summer. All of these have perforation or breathability of some kind to get you through the heat. Of course, remember to always wear your favorite full sleeve hot weather baselayers with any of these recommendations! Keep in mind that even perforated leather won't save you if it's 90-100 degrees, especially with humidity. These are probably more useful to those of you on the west, or southwest where summers are a bit more bearable. Or for mild temperatures, between 70-80 degrees. The summer leather jacket that I wear is also listed below, with a link to the review so you can see how well she did in 90-100 degree dry California heat. I know there aren't very many options for us when it comes to leather, especially perforated/ventilated ones. Hopefully one of these will work well for you. First up, the white jacket above by Dainese. Don't worry, it's also available in black. Aside from all the lovely perforation you can see on the chest and the back of the jacket. The entire surface isn't perforated, but key panels on the chest will provide airflow. Fitment wise, it's your classic hourglass, with a length below the waist. The bust isn't that generous, so if you have a larger than average bust size for your height/weight, then you may want another one the options below. I would still wear a Euro 42 (US 4), but the chest space is definitely a bit snug for me, it doesn't fit anything like the now discontinued Cage. The GP Plus R also has a typical hourglass fit, but starts down at a full size smaller than the Laguna Evo. I like how this one fits, not too slim, not too broad. If you have a fairly proportionate body type, then this should fit well. The length is nice, also sits right above the hip. I'd say it has a more generous bust fitment. If I needed another leather jacket, this would be one of my top choices. There is no removable liner with this one. The Galactic is my favorite and current summer leather jacket. Ventilated with a removeable waterproof liner. Read my full review here. The Ignition is a relaxed, touring / sport touring fit with a more generous and curvy fit. Read my full review here. The Xena is the sportiest option for those of you looking for a full race cut leather jacket. This one has a smaller than average fit, I usually wear a 36 in Rev'it and I needed a 38 for this one to accommodate my bust (37"). Forgot to post this update a couple weeks ago when I posted my review of the all new REV'IT Ignition 2 Jacket and Gear 2 Pants. I'm in the new version above (Euro 38) and my friend Victoria (Euro 36) is in the older version on the right. Read my reviews and how my weight loss changed the fitment on this beautiful outfit once I dropped almost 20 pounds (to Victoria's size). In my last episode of The Pace and in a recent reader email, I made some suggestions for summer gear options for my fellow women riders. (Of course, these outfits all come in men's versions). The Air Frame has a removable windproof liner and a 3/4 connection zipper to wear with any Dainese pants (unfortunately you can't zip a Dainese jacket or pant to any other brands). The fit is more on the long and lean side, so I'd recommend this fit for gals with a longer torso. The shoulders are not too narrow and not too broad. They also have the Air Flux at $199.95, which is a little less expensive because it doesn't offer the removable liner or connection zipper. That would be a good alternative as well. The Drakes are the most fitted, ventilated riding pant I've ever tried on or seen. Dainese makes all of their pants with tha 'skinny jean' shape. Instead of a boot cut leg style, they have a more tapered fit. You can still wear them over your boots, but they can also be worn inside your boots if you have plenty of calf adjustment since the knee armor also has a shin guard. If you're looking for a really lean fit in riding pants and want to find something to wear as close to the fit of your jeans as possible, you'll love the Drakes. I wear a 42 in these and I'm a size 4 in jeans. The length is perfect. The rise in the waist is rather low, so if you have hips you may find them to be too short in the waist. The Switchback is a lighter version of the Airglide. It has a removable waterproof/windproof liner that isn't insulated. The fit and sizing is great for curvier body types and comes in hi viz! More generous in the shoulders, arms, waist and bust. The length is a bit shorter so it's better if you have a shorter torso. The Airglides are an overpant, with full hip to toe zippers. I've mentioned them a few times before, as they're a well ventilated pant made of Cordura. The fit is generous in the hips and thighs and is perfect for a curvy body type. The knee armor is adjustable and removable too. With the large mesh panels on across the thighs, I've seen many women wear a full size smaller in these vs. their winter counterpart, the Pros. The Airwave offers plenty of ventilation in a lightweight jacket that doesn't have a removable liner. The fit is much like the Tornado, and has a great all around fit for almost all body types. The pants also feature a full inner leg zipper which make it easy to wear shorts underneath and get to wear you're going . (The Tornados feature a removable waterproof, thermal liner and are for year round riding, whereas these are strictly for summer).